This is way too cute not to share. This is photo a friend sent me and when I look at this the stress of the workday vanishes. Hello again, SkinnyWench! Good to be back! Cute photo – bet you wish you could have kept the little fella! Thanks for the like on my “Ski day today” post; that whole Colorado series was fun to shoot. Take care! If your journeys ever lead you to Hawaii, let me know! 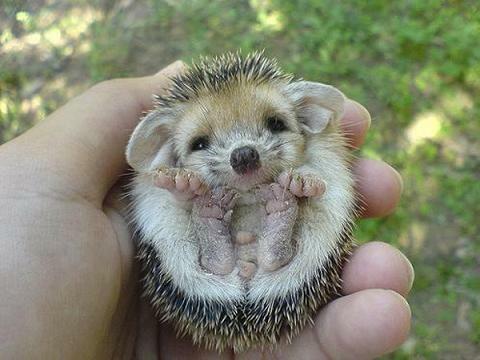 never knew hedgehogs had such big ears..